Welcome to the Drupal London Developers Meetup. We are a group for people interested in sharing experience and knowledge about all things Drupal and Content Management Systems, as well as diving into the technologies we use to build it. Come prepared to meet friendly fellow Drupalers and to share your knowledge - whether you are an experienced Drupal user or a newbie. 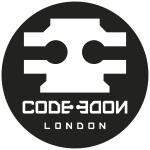 Sorry, looks like Drupal London Developers Meetup haven't got any events scheduled for the moment! At DrupalEurope Dries announced that Drupal 8 will be end-of-lifed in 2021 [https://youtu.be/iXB0sNreSlM?t=2950] and that Drupal 9 would be out sometime before November 2020. That gives us 2 years to get ready.